LG Electronics unveiled its 2011 Blu-ray line at the CES show in Las Vegas which included six new Network Blu-ray Players, featuring 3D capability, advanced content options, wireless technology and excellent picture quality. Also unveiled was its first-ever portable Blu-ray player (model BP650). 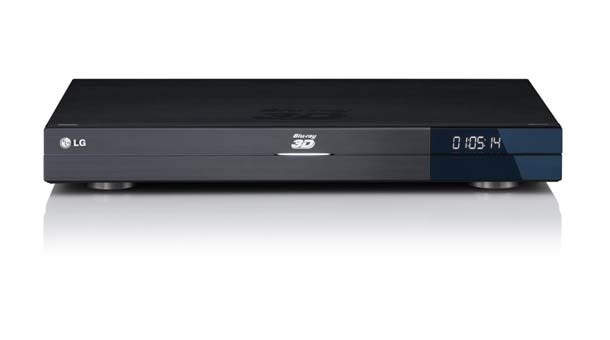 LG’s flagship Blu-ray player for 2011, the BD690 (pictured above) combines the Blu-ray player with a 250gb hard drive, allowing for CD ripping and Blu-ray playback from a single box. There’s built-in Wi-Fi, and it’s DLNA-compliant so you can also stream music, photos and video from a connected PC. The full features of the LG BD690 are below along with their other announced bluray players.